The Shofur network links you to over 300 coach buses and charter buses for rent across South Carolina. Our company is used by some of the top universities & businesses across the south. 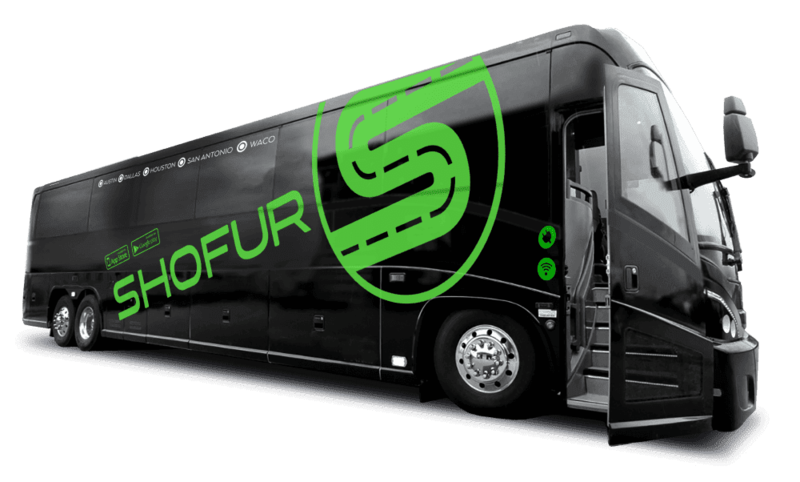 Whether you're looking to go to a football game, the beaches of South Carolina, or on a nationwide excursion, Shofur will assist you with all your bus needs. As one of the oldest states in the country, South Carolina has amassed a seemingly unending number of things to do and see. You'll have a lot to pack into your vacation in this state, even if you only visit a single city. Avoid the driving stress using a charter bus that chauffeurs you from the shore to the golf course to plantations and dining out. It's a coastal state and you'll find its beaches one of the can't miss experiences in S.C. Visit Myrtle Beach for sandy beaches perfect for shell hunting and ride the Skywheel while you're there. The giant ferris wheel provides epic views of the Atlantic Ocean and the city of Myrtle Beach. A popular spring break location, Myrtle Beach offers restaurants, bars and nightclubs for entertainment after the sun goes down. Boogie boarders enjoy nearby Surfside Beach, a less crowded Myrtle neighbor. Families head to Hilton Head Island, off the coast of Charleston. Its quiet beaches let parents sunbathe while children play in lapping waves. You can enjoy a great learning experience while in the state, too. Spend the day at the South Carolina Aquarium, then the Riverbanks Zoo & Botanical Gardens, both in Columbia, the state's capital. See the animals, enjoy the gardens and admire the exhibits. The state is well-known for its golf courses, which number 474. No one expects you to play them all in one vacation, but try to hit the high points of Kiawah Island, Hilton Head and Myrtle Beach. You can't miss playing The Ocean Course on Kiawah, one of the four courses in the U.S. to have hosted every major PGA event. If you watched the 1991 Ryder Cup or 2012 PGA Championship, this is the course you saw. Golf.com, Golf Digest and the PGA rank Myrtle Beach's The Dunes course near the top of the S.C. play list. You'll find coastal and inland holes, and meet the challenge of the sea breeze. Hilton Head's can't miss course, the famed Harbour Town Golf Links, has hosted the PGA Tour's Heritage tournament since 1969. Steeped in history beginning with its time as a one of the original 13 U.S. colonies, the state also offers numerous battle sites from the American Revolution and Civil War. Explore the Patriots Point Naval & Maritime Museum to learn the pivotal role the state has played in national security. Tour Fort Sumter, location of two major battles in the Civil War, and the USS Yorktown, one of the U.S. Navy's 24 Essex-class aircraft carriers built during World War II. The state boasts 11 lighthouses, but only two remain working beacons to sailors. The U.S. Coast Guard operates the Georgetown Lighthouse on North Island and the Charleston Lighthouse on Sullivan's Island. Don't pass up the chance to see the old Hunting Island Lighthouse, open to the public. Tour its grounds and interior to learn how these beacons of light guide ships away from land. Before the Civil War, the state's economy revolved around its agricultural plantations. Today, though, agriculture gives way to tourism and education. A visit to the Charleston area's Magnolia Gardens or Boone Hall Plantation provides a peek into settlers' and slaves' way of life. A tour of buildings and grounds gives you a look at historical architecture, exquisite gardens and the beginning and end of slavery in the country. On Edisto Island, the Botany Bay Plantation Heritage Preserve and Wildlife Management Area lets you see pristine beaches, indigenous growth and native wildlife. Enjoy some downtime like the state's natives do. Have a picnic in Charleston's Waterfront Park or The Battery or under the ancient Angel Oak Tree on Johns Island. If you'd rather sit at a table and chairs, dine at Charleston's 82 Queen, then shop on King Street or at the Shops at Charleston Place. Don't miss the hiking trails at Caesar's Head State Park and stop to enjoy the breathtaking views from its Overlook and Table Rock while you're there. Wherever your South Carolina explorations take you, let a Shofur bus rental help you get there. With service in Columbia, Charleston, and Greenville we can help you see the state without the stress of driving and navigating. Enjoy extra time with family and friends while you relax in luxurious reclining seats and ready yourself for your next South Carolina adventure.